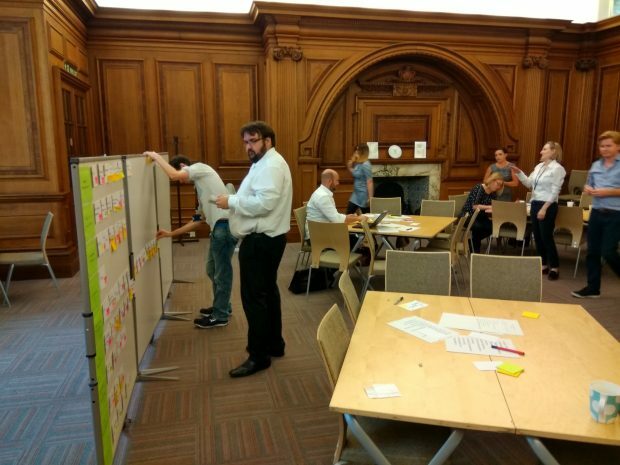 As you might remember, if you’re a regular reader of this blog, we (the DH Digital Technology and Strategy team) run a Service Transformation and Standards community. The aim of the group, which launched at the end of 2016, is to bring colleagues involved in digital projects from our Arm’s Length Bodies (ALBs) together to share expertise, best practice and trouble-shoot issues. Meetings are held every 2-3 months and each session has focussed on a common pain point that DH teams and ALBs have when delivering digital projects. Previous sessions have covered topics such as identifying the common pain points, digital procurement and digital spend controls. 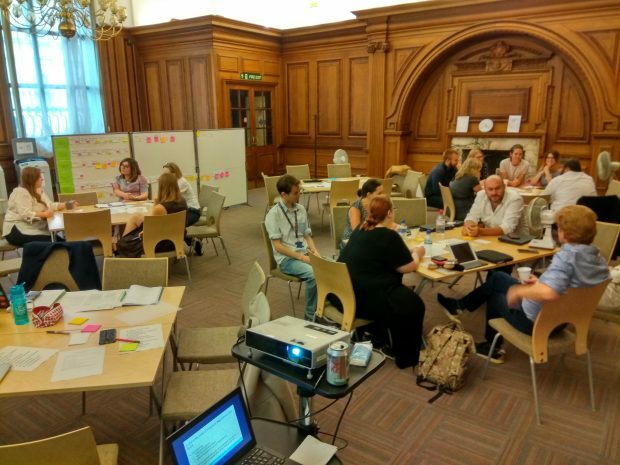 In our latest session, which took place on 19th July, we looked at hosting and platforms and started to explore how we might take a pipeline or portfolio approach to digital assurance. Due to the creation of new products and services and the Government Digital Service's (GDS) red lines for IT procurement, which stipulate no automatic contract extensions and a maximum contract length of two years, many of our ALBs are in a regular cycle of either procuring or planning to procure hosting solutions for new or existing products and services. in-house, crown or external hosting? 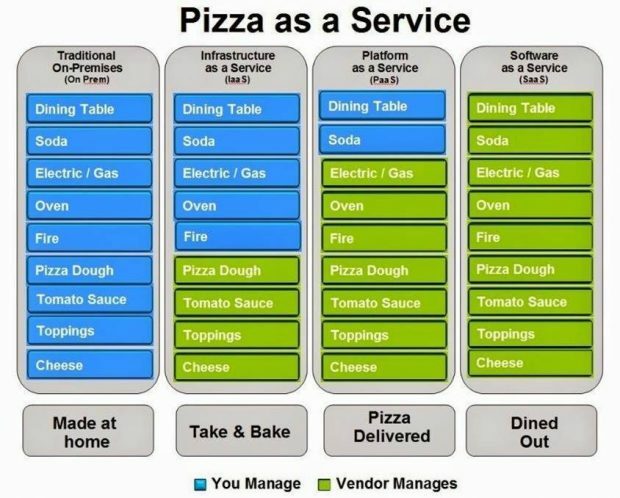 IaaS, PaaS, SaaS or GaaP? Digital marketplace or Digital Outcomes and Specialists framework? Thankfully, our new Tech Adviser Jess Morley, was on hand to help separate the wood from the trees by explaining the basics, the options, how to make a decision and how to procure. We also had great presentations from Anais Reding and Tom Dolan from GDS. Anais introduced the community to GDS’s Government as a Platform (GaaP) offering, an existing suite of services that our ALB’s can use to deliver new or transform existing products and services. And, Tom live demoed (brave man!) and introduced us to GOV.UK Platform as a Service (PaaS), GDS’s cloud hosting and infrastructure service, which forms part of Government as a Platform. In the session, we also started to explore how we might start taking a pipeline/portfolio approach to our digital assurance work. Back in June, our new dedicated Digital Assurance team (Ben Showers and Katie Regan) embarked on a grand UK tour of all our ALBs. Their mission: to understand the ALB landscape and the complexities of the assurance process from an ALB perspective, in order to understand what we can do in the medium and long term to improve the process. Before the event, we went through our Zendesk (the tool we use to manage our assurance caseload) and pulled out all the ALB projects that we have on record - either seeking spend approval, granted spend approval or where we have been asked for advice or guidance. Based on the projects found, we created a list of categories/project types that we felt the projects could be grouped into. At the session we presented the community with the list of projects and asked them to put the projects for their organisation into the most appropriate category, to note if a project covered more than one category and to add any projects we had missed. Once the pipeline was complete we ran a quick dotmocracy and asked the community to vote on a category that they would like to talk to their ALB colleagues about. We then divided the community into 3 groups, based on the top 3 categories chosen, and facilitated discussions about the category topic in those groups. At the end of the event, we all discussed whether we had found the pipeline information and the resulting discussions useful, and whether this was something the community wanted DH to continue to facilitate. The overwhelming answer was ‘Yes’. Based on the pipeline information and feedback from the session, we created a list of DH and ALB user needs and used these to build a rough, no-cost, visual prototype of the pipeline information in Trello and shared this with the ALB community. The visual pipeline board contains all the projects (as cards), divided by ALB (lists) and categorised by project type and development phase (labels), so they can be easily filtered. Each project also has the relevant ALB project contact (members) so the ALBs can contact each other. In the longer term, if the pipeline information does prove useful and helps us to meet the goals above, we would like to surface the information automatically through our Zendesk, so ALBs can continue to see the full portfolio of projects, but also see where their projects are in the assurance process. But, that’s for another day and another blog…….